Sanctions imposed by Western powers did not make Iran stopped developing nuclear weapons. Islamic Republic would try to expand the nuclear program by installing thousands of new generation centrifuges. 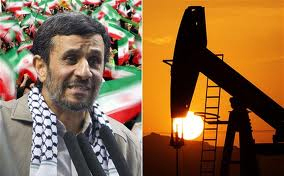 Not only that, the country led by Mahmoud Ahmadinejad, a few days ago, also stop its oil sales to Britain and France. Iran's oil ministry spokesman, Ali Reza Rahbar Nikzad, said the sale of oil will then be transferred to the new consumer. Cessation of oil sales have preceded the new EU sanctions to be imposed on July 1. The sanctions were intended to pressure Tehran into going to stop developing its nuclear program. Earlier on Wednesday a number of Iranian media reported that Tehran had stopped exporting oil to the Netherlands, Greece, France, Portugal, Spain, and Italy in response to the oil embargo of the European Union. But the news was later denied by the Iranian Oil Ministry. Meanwhile, a diplomat in Vienna, Austria, warns that Iran has expanded its nuclear program in an underground location near the city of Qom. The expansion is done by installing thousands of new centrifuges that could speed up uranium enrichment, both for electricity generation and weapons. So far nuclear watchdog, the IAEA, has not commented related to this statement. IAEA is still in talks with Iran over its nuclear development activities. But former IAEA chief Hans Blix said there was no indication Iran will develop nuclear weapons. That, says Blix, based on the IAEA report in November 2011 about Iran's nuclear activities. Iran last month refused to grant access to IAEA inspectors to visit the team to a number of reactors and forbade them to speak with a number of the country's nuclear scientists. According to the BBC, the Western diplomat in Vienna's statement was a warning to Iran that insists on continuing its nuclear program. In a statement, it describes that the Iranian diplomat has brought a number of pipes, electrical circuits, and other equipment at a nuclear facility near the city of Qom. The equipment used to install the new centrifuges. However, so far there is not certainty when the new centrifuges would be installed. British Foreign Secretary William Hague, Saturday (18/2), warned that Iran's nuclear ambitions could trigger an arms race in the Middle East region. Currently the only country that has nuclear weapons in the region is Israel. Iran is pretty bold in its defiance of the West. But, I hope the world can come to terms with each other on diplomatic grounds.